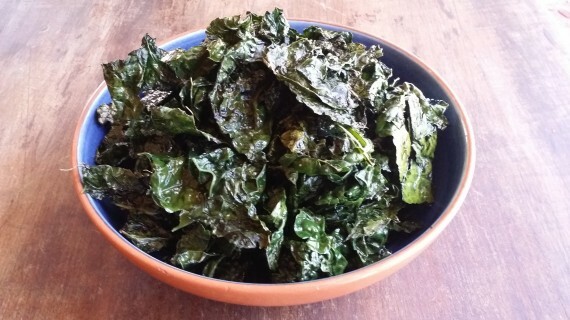 Organic kale roasting with grass-fed ghee, sea salt, and pepper. My favorite oil for roasting any and all vegetables is Ancient Organic’s Grass-Fed Organic Ghee. It’s the best. It’s unique. It’s amazing. I’m telling you, I’ve tried other ghee and nothing is like this ghee. Maybe it’s the chanting they do under the moon when they make it, maybe it’s the master mind behind the process, I don’t know. It’s the best though. Any and everyone I turn on to it loves it. I buy mine directly from Ancient Organics because I buy it by the case (it lasts long, especially if frozen, and I share with family-n-friends) and I buy the biggest jars they have. However, you can buy it from Amazon here as well. Preheat the oven to 350 degrees F. New step (8/22/14): Put your empty baking sheet in the oven to heat up as the oven warms. Place the ingredients in a bowl and toss to ensure the kale is nicely coated with the ghee, salt, and pepper. 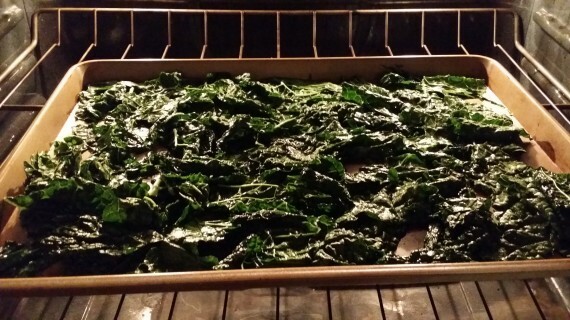 Once the oven is heated, take the rimmed baking sheet out and put your kale on it. Don’t forget to use an oven-mitt since the pan will be hot. Roast for 10 minutes, stirring and turning midway. 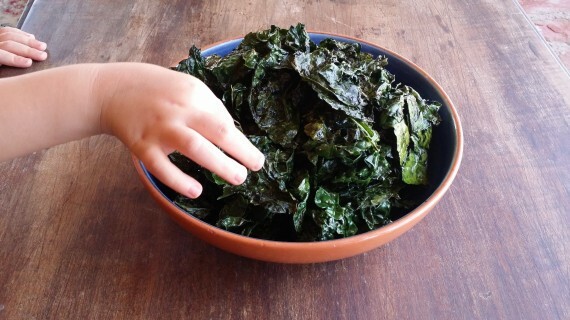 Transfer to a serving bowl and drizzle raw honey on top, if desired.